Posted on May 29, 2015 by Mr. H Posted in Hero's Guide, Other News	. 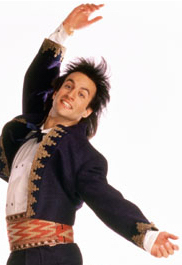 Bronson Pinchot for his performance of The Hero’s Guide to Being an Outlaw! My congratulations (and heartfelt thanks) go out to Mr. Pinchot. I was incredibly lucky to land such a talented actor for my books. Posted on May 29, 2015 by Mr. H Posted in Other News	. The unfortunate email problem we were having on the site has now been fixed. Huzzah! Feel free to send me stuff once again! Posted on May 18, 2015 by Mr. H Posted in Other News	. Ugh! We are experiencing technical difficulties here at ChristopherHealy.com. To any of you who may have tried to email me at chris@christopherhealy.com in the past week or so, I may not have received your message. I am trying my best to get it all fixed as soon as possible. In the meantime, you can continue to post to the comments section of any page on this site. Thanks for your patience!